Caroline Powell and Up Up And Away will be first out of the start box, it was revealed during the live draw for the Mitsubishi Motors Badminton Horse Trials running order. The draw was streamed on the Badminton and Horse & Hound Facebook pages at 2pm today, with Rupert Bell as the compère and guests Mary King and technical delegate Marcin Konarski carrying out the draw. New Zealand rider Caroline will also wear number 87 with her second horse, On The Brash. Georgie Spence will be the first British rider into the arena and on to the cross-country, carrying the number two on Halltown Harley. She will also start at number 89 with Wii Limbo. Last year’s winners Andrew Nicholson and Nereo will be number four as they defend their title. German favourite Michael Jung and the legendary La Biosthetique-Sam FBW will start at number 30 so their dressage will be on the first day, Thursday, probably in the afternoon session. Fans of Ben Hobday and the supercob Mr Mulry will need to make an early start as he has been drawn at number 19. H&H bloggers Kirsty Short (Cossan Lad) and Simon Grieve (Drumbilla Metro) are numbers 55 and 39. William Fox-Pitt, who is back at Badminton for the first time since his win in 2015, will wear number 51 with Fernhill Pimms, while three-time winner Pippa Funnell heads out 10 horses earlier as number 41 on Billy Beware. Horses have been numbered one to 93, but the maximum starting field is 85. 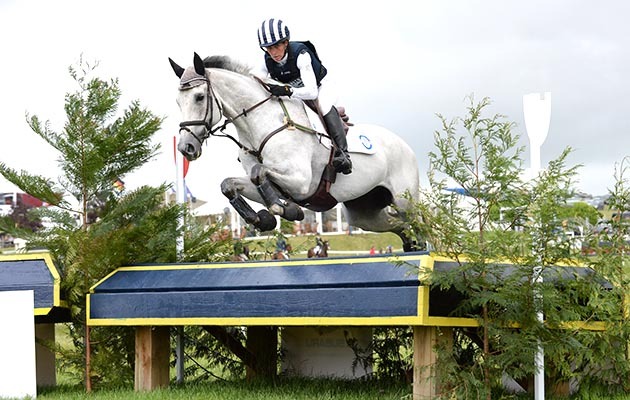 Two horses (Fernhill Pimms and Absolut Opposition) are still on the wait-list, plus Tina Cook and Oliver Townend still have to decide which of their entered horses they will compete, as Tina has three horses entered and Oliver four, but they can only start on two mounts. Equestrian Escapes will also be attending the event, you can stand us at stand 6 in the Country Living marquee!